Storm Collectibles presents their first Bruce Lee collection, 1/12 scale Premium Figure with two head sculpts fully sculpted by Arnie Kim. 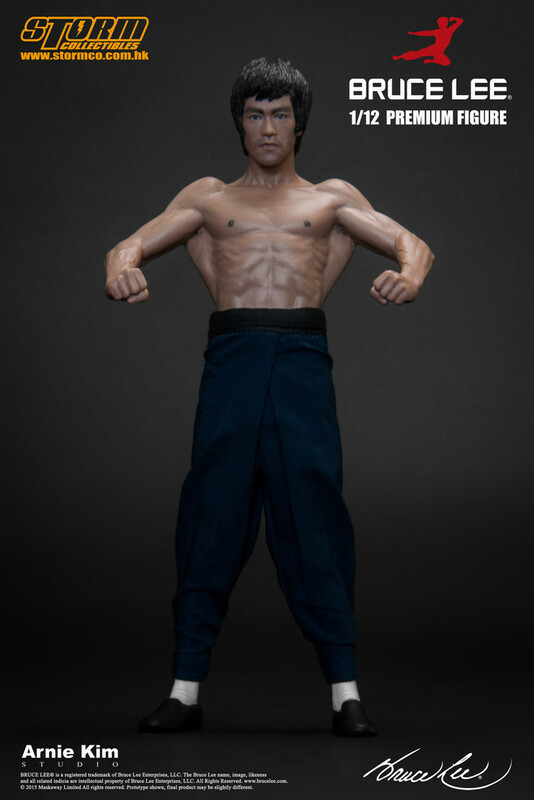 It is the first time ever a bearded Bruce Lee face been sculpted, also the very first 1/12 scale size Bruce Lee been produced in high quality statue format. Bruce’ philosophy, JKD training, physical ability, and appearance have been inspired and drilled into each of our heart and they are all started from Bruce’s personal life.